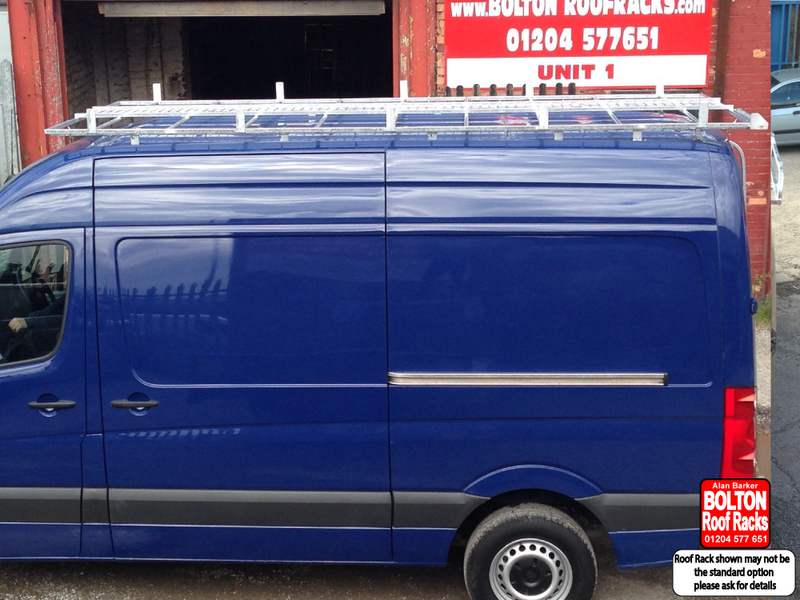 Volkswagen Crafter SWB High Roof from Bolton Roof Racks Ltd. Roof Racks for Volkswagen Crafter Models we hold in Stock. The Volkswagen Crafter is a very popular vehicle. The Volkswagen Crafter, introduced in 2006 is the largest 3 to 5 tonne van sold by Volkswagen Commercial Vehicles. The Crafter officially replaced the LT nameplate first launched in 1975, although it is known as the LT3 as its production plant code. Like the second generation LT, the first generation Crafter is a rebadged Mercedes-Benz Sprinter, built by Daimler AG, with a VW powertrain. The Daimler variant has been also sold by Daimler as the Freightliner Sprinter and Dodge Sprinter. An all-electric variant, the e-Crafter, is scheduled for retail sales in 2017. Starting with the 2017 model year the Crafter is designed and built by Volkswagen, and no longer associated with the Sprinter. This new Crafter is expected to be sold by VW's MAN Truck & Bus division as the TGE. Get the best out of your Volkswagen Crafter by adding a Roof Rack.